National University Degree Admission 1st merit list Result 2017-18: National University (NU) Degree 1st year admission 1st merit list Result 2017-18 will be published on 08 February 2018. Generally Degree admission Release Slip result result published after a few week of Last date of Release slip Application form submission date. As well 1st merit list result will be published after a few week of Last date of Primary Application form submission date and the 2nd merit list result after a few week on 1st merit list admission last date. At first the result will be published through SMS method on 4 PM. The result will be also available on national university Admission Test Related Website and our website at 9 PM. Selected Students Have to Fill up Final Admission form and submitted them to college within 19 February 2018. => National University Degree Admission result will be prepared according to 1st merit list, 2nd merit list (if necessary), Quota and Release slip. => Associated colleges will get their result by using User ID, Password & OTP. Candidates will get result through SMS (NU<space>ATDG<space>Roll No) & send 16222. They can also get result by visiting National University website at www.nu.edu.bd/admissions & our website. Degree Pass course 2017-18 season class staring Date: 20th February 2018. National University Degree Pass Admission all merit list & Release Slip Result 2017-18 will be found here after published by national university. So keep visiting our website regularly. 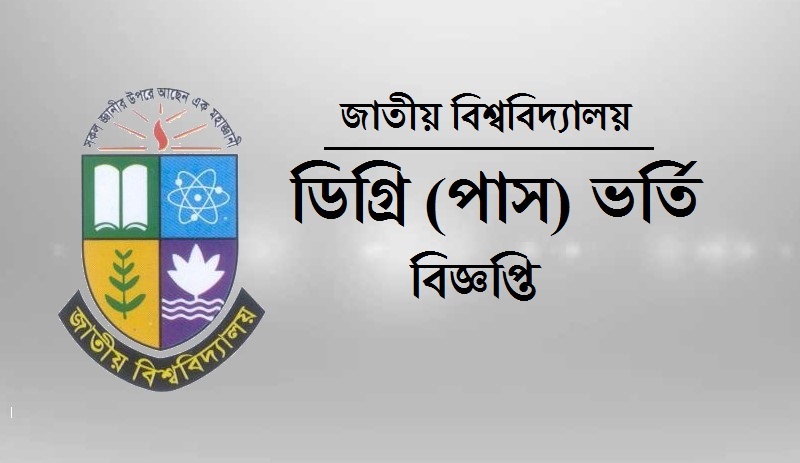 National University Degree Admission Notice 2017-18: National University BA (Pass), BSS (Pass), BSC (Pass), BBS (pass), B Music (Pass), B Sports (Pass) Degree Pass Course admission for the academic session 2017-18 of Degree 1st year 1st has been published. According to The National University Degree Admission Notice 2017-18 Degree national university degree admission online apply process 2017-18 will be starting from 17 January 2018 and application process will be running till 03 February 2018 at 12 am. Primary Application form submit to Related college last date is 04 January 2018. Details information and admission guidelines of National University Degree admission 2017-18 is found at www.nu.edu.bd/admissions. This information is also available in our website en.LekhaporaBD.com. Interested candidates have to passed SSC (2012, 2014 & 2015) & HSC (2015, 2016 & 2017) or equivalent exam from any Educational Board of Bangladesh. Candidates have to click this Degree Admission Guidelines from this link to learn more about Degree Application Specific qualification. For foreign students Admission conditions is also available there. => To get one time password (OTP) of 2017-18 Degree 1st year admission test of any associated college, have to fixed primary admission form & confirm final admission for admission test process.